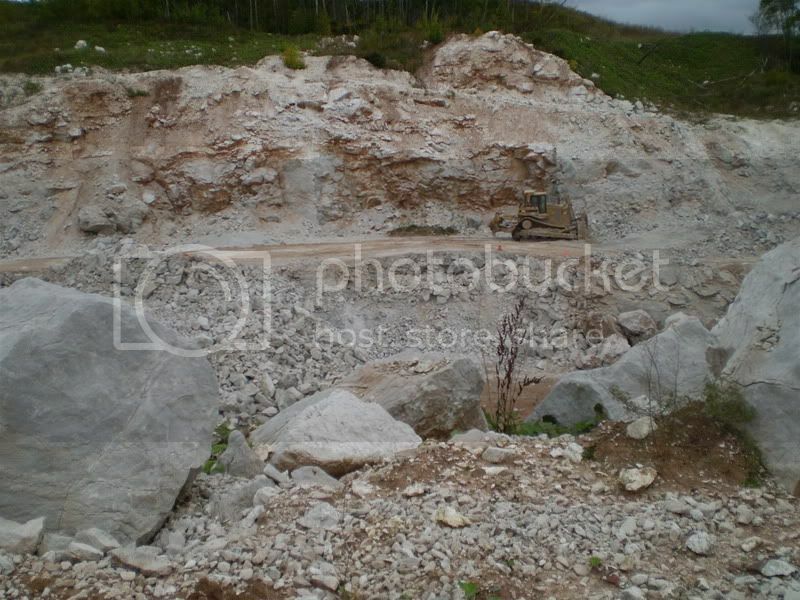 Here is a photo taken last weekend of the Gypsum Quarry near Windsor Nova Scotia. Note the tiny little bulldozer in the pit, which was actually a very big bulldozer dwarfed by the size of the hole it is working in. 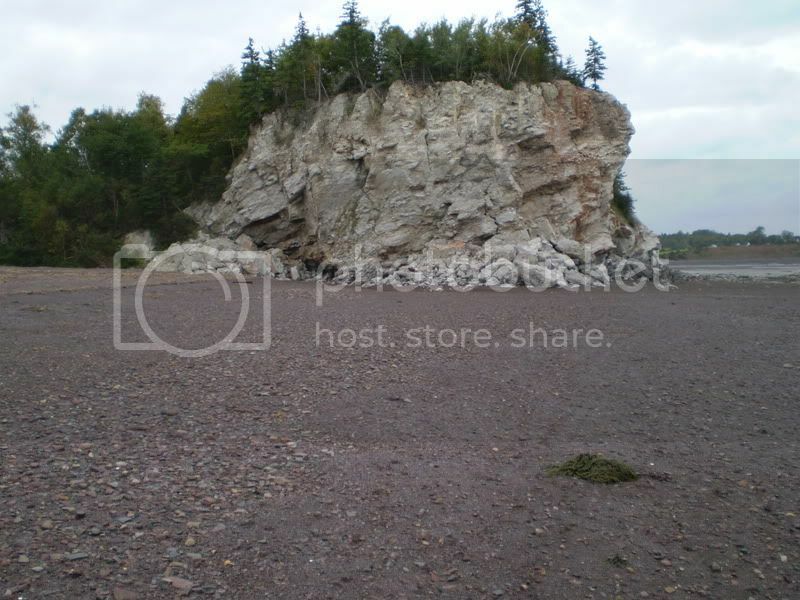 This is part of what is commonly referred to as the Windsor rock formation that spans the width of Nova Scotia and forms part of the bedrock scheme under Oak Island. Here is a naturally occurring outcrop of rock a little further down the road. This is what it looks like up close, note the odd looking erosion. There is a cave near by if anyone wants to see a photo of it, simply let me know. Had I been smart enough, I would have taken a photograph of two rock outcropping just a few hundred feet from the wall in this photo. The rock outcropping were not accessible at the time I was there (too much water) and they were covered with a heavy blanket of seaweed, but every now and then, you could see white rock sticking through the mats. As the tide continued to drop, as it turned out, I would have been able to walk over to them for a look, but I didn't. The tides in the Bay of Fundy are among the highest in the world, often reaching as much as 40 feet or more depending on Moon cycles. This wall of rock therefore gets washed by the sea at high tide and over eons of constant erosion, I highly suspect the underwater rocks show a similar erosion patterns, but that is a rank guess on my part. Hers is another example of the type of erosion we saw, many holes, not as much layering, very exotic looking and unusual especially for a guy from the open Atlantic side of Nova Scotia where this type of thing is just not seen.